This compendium is an unforeseen but logical continuation to the `Victory India Trilogy` that was published in 2013, 2014 & 2016 and takes our noble collective endeavour of over 60 military veterans and academicians ‘Beyond The Victory India Campaign’. The collective work of these four compendiums encapsulate 155 chapters of articles, essays, papers and debates. This fourth volume contains 34 articles and debates on multifarious military subjects relating to officer selection and training and the inherent lacunae and shortcomings of our 70 years old selection system and training methodology. These articles and debates basically cover the technicalities of the issues and show the way forward for addressing them. 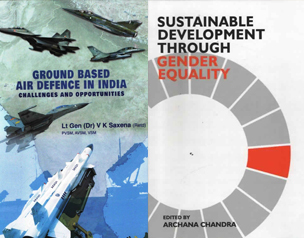 This volume (Victory India-4) also comprises several other articles and debates which have gone beyond the earlier objective of the campaign, covering even many complex subjects on sensitive and controversial issues that have plagued and agitated the military hierarchy and MOD for decades. Many of these articles and debates were published in `FAUJI INDIA`, (India`s most popular magazine for the military world) during past 18 months. All subjects were deeply analysed and seriously debated to reach practical conclusions and consensus. The subjects include Role & Preparedness of Armed Forces, Medical Boards, Promotion Policy & Armed Forces Tribunal, Military Academies & National Defence University, Combat Leadership, Military Doctrine & Art of War. Col Vinay Baliram Dalvi was born on 20 June 1951 at Darjeeling. Commissioned on 13 June 1971 he served with 4 Maratha L I, as a third generation officer for 8 years (1971-79) and Army Physical Training Corps (APTC) for 29 years (1979-2008). Served with 4 Maratha L I in Jaisalmer and Barmer sectors of Rajasthan during the 1971 operations and later Bikaner (till 1973) and subsequently J & K (1973-76). He excelled in sports, especially hockey in Northern Command (1974/75) and Central Command (1976-77) and Services Championship (1976-77). Transferred to APTC in 1979 and served as Instructor for 29 years (till 2008) with tenures at most prestigious training institutions including NDA, IMA, OTA, AIPT & AFSC. Also Served at Army HQ, HQ Eastern & Southern Command in staff appointments. Was privileged to be Manager of Services Hockey, Aquatics, Wrestling, Gymnastics & Athletics teams for numerous National Championships. Manager of Services Hockey team that won coveted Rangaswamy Cup (1985). Manager Army Hockey team that won Bombay Gold Cup (2008) and beat Malaysian Army teams during foreign tour. His interest in research & analysis in selection & training of officers developed during 9 years instructional tenures at NDA, IMA & OTA, where he closely monitored and reviewed the prevailing systems for young officer cadets. He noticed several flaws, shortcomings and lacunae in them which needed holistic review and serious introspection. With the sole aim and objective of improving the quality of young military officers being inducted into the Services, Col Dalvi`s selfless and single minded devotion to the cause gave birth to a campaign called Victory India in 2010 which he has relentlessly pursued till date. 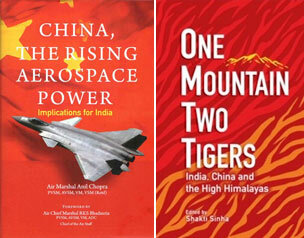 His first book `Role Model’ (2010) and second `Sun Tzu - The Art of War` (2012) were individual efforts leading to `Victory India-1` (2013), `Victory India-2` (2014) and Victory India-3 (2016). 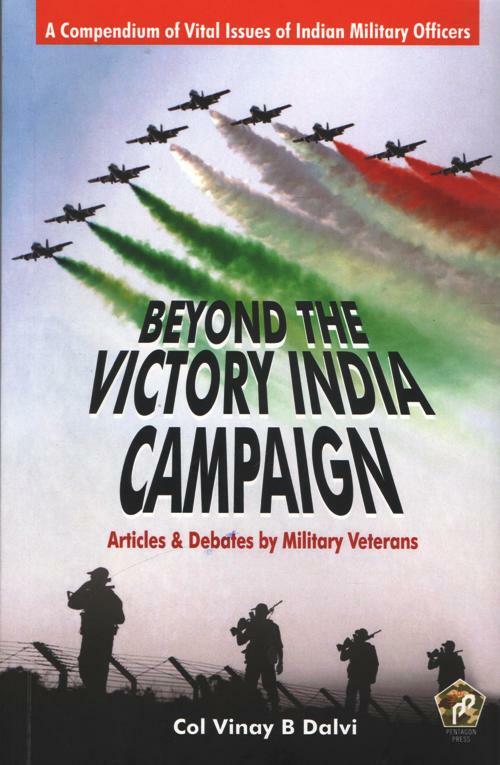 ‘Beyond The Victory India Campaign is the 6th book which is a collective effort of 155 essays, articles, papers by over 60 Authors & Respondents in the Victory India series of books.